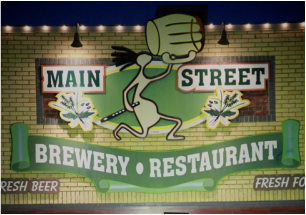 Main Street Brewery & Restaurant is located at 21 E. Main Street, downtown Cortez, Colorado. our dessert maker is making something new and delicious all the time. Join us for Dinner 7 days a week at 3:30 p.m. or lunch Friday-Sunday at 11:30 a.m.
and a select few in take home 23 oz. bombers. vegetable du jour and fresh baked foccacia bread.